Are you thinking to shift your business to EV Sectors. Exploring the possibilities of Home and Public EV Charging Systems that create business oppertunity by 2030 in India. 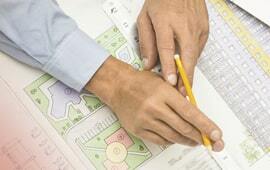 Are you passout Engineer? Make yourself as a skilled EV Engineer. Learn EV Charging system design, calculation, Operation & Maintaince and installation hands-on training from Academy of EV Technology. 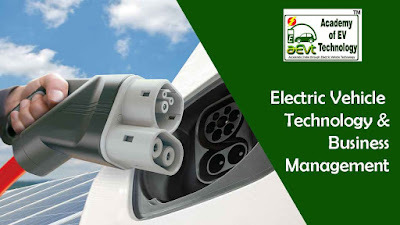 If you are a company/an entrepreneur keen to enter this booming sector, AEVT's Training Guide would be your most valuable first step towards success in your EV business through clear insights of Market Understanding, Opportunity Analysis, Policy Understanding, Technology Understanding, Charging Station Components & Installation Process and more. After announcing massive renewable energy targets, the country has set yet another ambitious target - to move to 100 per cent electric vehicle (EV) sales by 2030. The National Mission on Electric Mobility Plan (NEMMP) is aimed at achieving the sale of 6-7 million hybrid and electric vehicles every year from 2020 onwards. As the Indian government gears up to aggressively promote electric vehicles across the country, companies that offer charging infrastructure have also been attracted to potentially one of the largest EV markets in the world. From housing blocks to parking areas, it is clear that electric charging facilities will need to be widely available for this sector to take off. Charging stations for EVs can also be solar-powered. Since 2014, Institute of Solar Technology a unit of Global Advanced Training & Education Traust providing successfully PV Solar Entrepreneurship training and now "Global Advanced Training & Education Traust" take mission to provide EV professional & entrepreneurship training. The plan is to create a roadmap for solar-plus-EV technology. "Particularly in a high solar resource country like India, it is a very good strategy for providing transportation," Sandalow said. EV technology is filled with technical functionality that make a substantial difference how your customers experience the service e.g. charging power, dynamic load management, identification methods, electric security, capability for SW updates, connectivity to back end systems etc. Electric vehicles are becoming increasingly popular as consumers are looking for new ways to reduce rising fuel bills. Because of this, the demand for electric vehicle charging points is also increasing and this has opened up a lucrative new business opportunity for electrical contractors. This course will teach you how to install electrical vehicle charging points Among PEV industries, battery and charging infrastructure will likely generate the most new jobs. Charging technology will continue to develop to meet the needs of the market with a number of technologies being trialled and reaching early market. The growth of the market serving EV infrastructure will accelerate in the years approaching 2030. This will impact suppliers of equipment, installation, analytics and operational services for EV charging infrastructure projects. As per the report, India, home to one of the largest 2-wheeler population in the world will witness a fast shift to EVs as it has the inherent advantage of easy charging. Verify your registration after submitting your admission form and Certificate verification after passout through AEVT Online Verification Process. EV fueling can help retain current employees, attract new ones, and demonstrate corporate social citizenship.Installing EV charging stations can be a worthwhile investment that pays for itself in several ways. EVs cut carbon emissions from exhaust by 70%. EV Charging Stations are being installed on a regular basis in residential, commercial and industrial locations. A Battery Electric Vehicle (BEV) is 100% powered by electricity. AEVT is committed to building startup ecosystems.